I just finished a webinar on making Facebook Promotions. I have promoted this company before but was so excited about this tool I had to write another quick tip on Facebook Promotions. 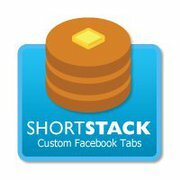 The Company Shortstack based out of Northern Nevada has developed an easy to use promotion and I-Frame tool that I believe everyone could run and use with little to no training. Their tool event comes with Data base management if you are willing to pay a small monthly service charge. They have Free services and if you are a small business looking to find less than 2500 fans locally you can use their service for under $10 a month. Facebook is becoming easier for businesses to use everyday. And companies such as ShortStack are leading the way. Have fun designing and promoting.